Visiting the Indianapolis Zoo during the Christmas season is almost like visiting a winter wonderland. Carolers can be found between 6-8pm most nights before Christmas and there are delicious treats all around. There are fewer animals outside but the lights all aglow make the experience magical. 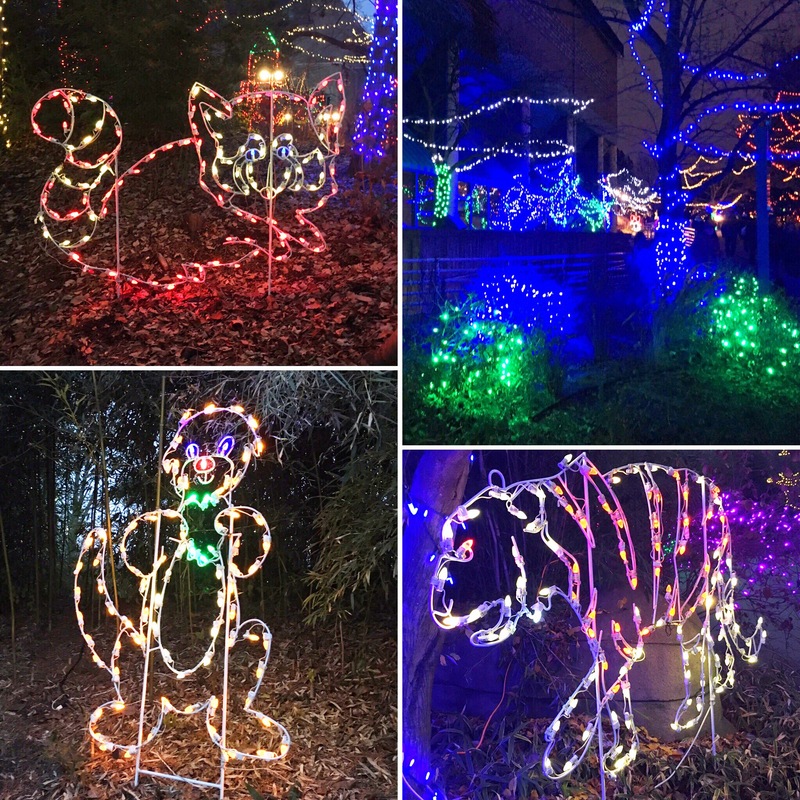 As the first zoo in the United States to hold a holiday lights event, they have worked hard to make their displays some of the best in the nation. With a cookie decorating experience featuring Mrs. Clause, photo opportunities with Santa, and even a chance to meet one of the reindeer, The Indianapolis Zoo is one of the best stops for families looking to find holiday cheer! Over in Flights of Fancy, the flamingos can be found standing around, and the African Lion was out on the prowl in Plains. These areas were full of lights but still very dark making it a bit hard to navigate with the crowds so I suggest going during the day if there are specific areas you are wishing to see. 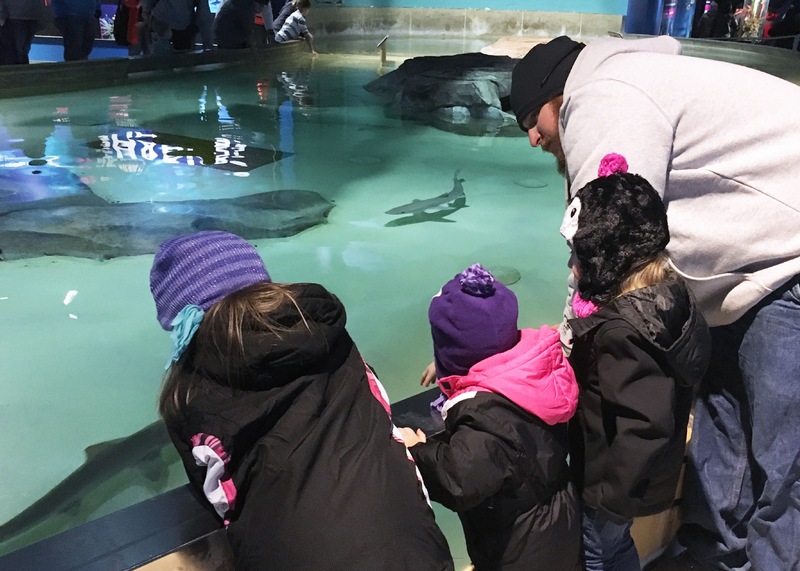 The Ocean Exhibition is fully operational all winter long with sea lions, dolphins, walruses, and other oceanic life to be found. The penguins are always a huge hit with our kids while the activity level the sea lions displayed was an unexpected treat. We really loved watching them play! The littles also enjoyed the shark pool where they were able to touch live dogfish sharks. The Indianapolis Zoo takes care to break the myths behind shark attacks with large billboards displaying facts about these great creatures. 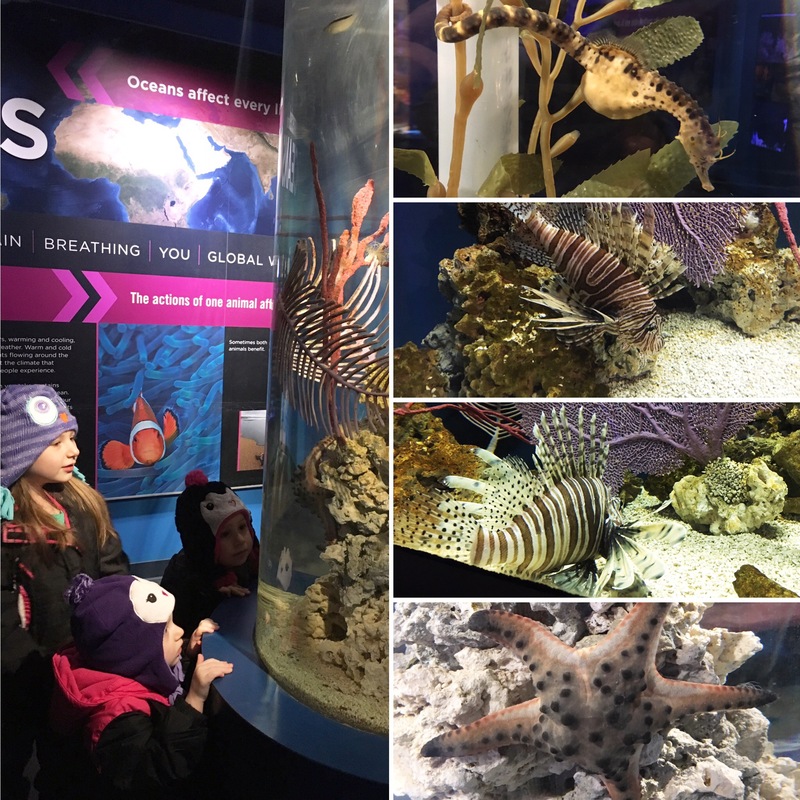 There is also information about the oceans and our planet explaining how everything ties together making this trip not only fun but very educational. Overall, we had a great time at the Indianapolis Zoo, but the crowds did make this one of our more stressful zoo experiences. The employees, while polite, were not of much assistance and with little visible signage, finding things, even with the map, was a challenge. Because of this, we missed out on White River Junction Train which was one of our main goals and left with some very disappointed littles. 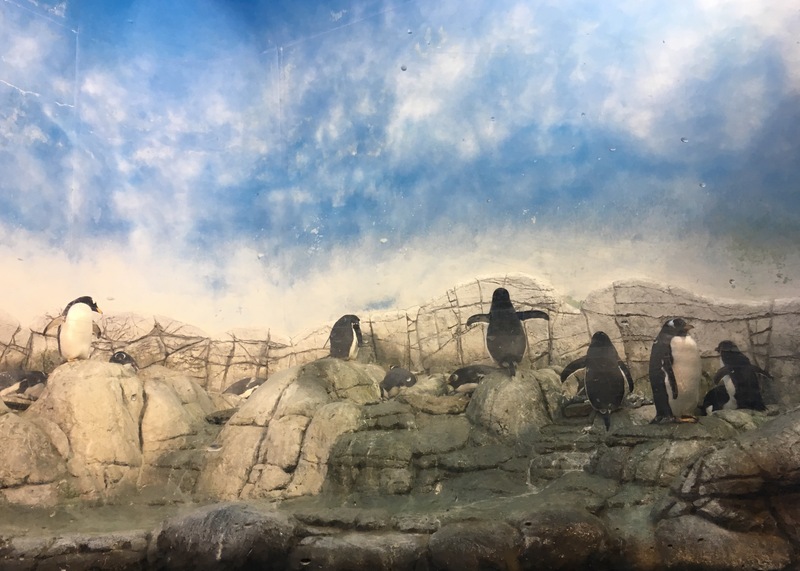 If you are going for mostly the lights and Christmas themed events, this would be a great experience, but if you are going to truly enjoy this particular zoo, I would recommend waiting until the spring or summer.